Is preamp's headphone output as good as "true" output? I admit I'm being lazy here... My setup wasn't designed well for accessing the rear panels of components. I want to make a WAV file from an LP, at good quality. 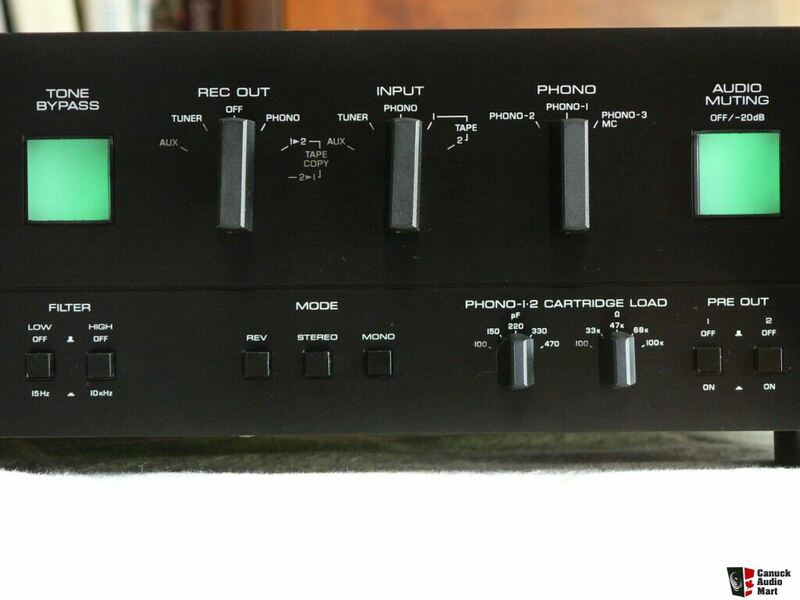 The front panel of my adcom GTP-500 II preamp has a headphone output that has no volume control, so I'm wondering if I could send that signal to my computer for the conversion to digital. On the rear panel (if I go to the trouble to pull the component out), there's probably a pure, absolute output for such purposes, but is it different from the headphone output? While I'm on the subject, any suggestions for a simple-enough and accurate conversion of the analog signal? I assume what I need is a PC app. Ideally you want the tape output. I think you're right. Have to man up and get that preamp out! Make a digital copy from each output. As in: preamp output, tape or line output, and headphone output. In an ideal home stereo listening post (in chair listening to stereo), each will sound different. In each piece of gear, the results, or sound qualities... of each of the three -will be different. Meaning, the lessons learned from finding the best ’tap’ point for a signal on one piece of gear..... is not necessarily translatable to the the next piece of gear. In audio design, there is no specific or normalized way of implementing any of the three, but merely guidelines. Each designer may do it similarly but each will not do it exactly the same way. Some may execute those functions completely differently than the next designer. Which will beget a varied set of results. The tape output or line output (the same, generally) of a preamp....is generally a straight unamplified, unmolested ’take’ from the phono preamp circuit itself, but there is no guarantee in this... but the odds are high. Usually one buffer resistor is in play on that output signal, internally (inside the preamp). Something like 220ohms to 1k ohms. The Adcom in question has a opamp on the headphone output, IIRC, and is thus a quality step down from what can be achieved via the tape output, or even the preamp output - possibly. It is minimally built and built out of opamps, so it has it's limitations. The front panel of my adcom GTP-500 II preamp has a headphone output that has no volume control, so I’m wondering if I could send that signal to my computer for the conversion to digital. On the rear panel (if I go to the trouble to pull the component out), there’s probably a pure, absolute output for such purposes, but is it different from the headphone output? The output from the tape out will be a better cleaner purer signal than the headphone output as the headphone output almost certainly has an extra opamp in it to drive low impedance headphones with. Yes just found it, your using an extra 45560 opamp on the headphone output. The preamp headphone is the best to use it but I am getting the issue to connect with my Acer laptop. What should I do to resolve this issue? I also try on acer support for the help purpose but did not get any response. What the heck is with all the silly spam replies on here of late. Come on Audiogon you need improve this level. Out of 9 posts, 6 are spam. Is dac variable output worse than fixed? "BEST OF SHOW" 8 YEARS!